...Then you know you are trapped within fear itself. 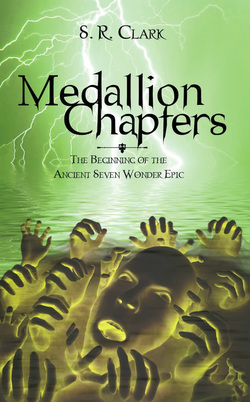 Medallion Chapters The Beginning of the Ancient Seven Wonder Epic UNLEASHED! This 2009 publication is finally released and available for sale to those who believe they can handle the sick, twisted, and spine chilling tale of two girls trapped between the worlds of reality, magic, and hell. What do you do when you are forced to discover that the only world you have ever known, is actually not the only one that exists? Who are you supposed to call when everyone you ever loved, is suddenly in great danger? What are you to think, when you are an average 18 year-old high school student, and expected to save the day? These are the questions Lisa Black had to ask when her world spiraled out of control, unveiling age-long secrets, and sending her and her friend, Jenna Baldwin, on an exciting adventure filled with magic, twists, trauma, and tragedy. Get your copy now, if you can handle this mind-blowing page-turner.